The buffalo check pattern seen above has been a growing trend among plaids for a few years, and is predicted to be huge this winter and into 2014. The specific take on plaid (also referred to as lumberjack plaid) is distinctive in that all the lines in the pattern are both equidistant and equal in size. 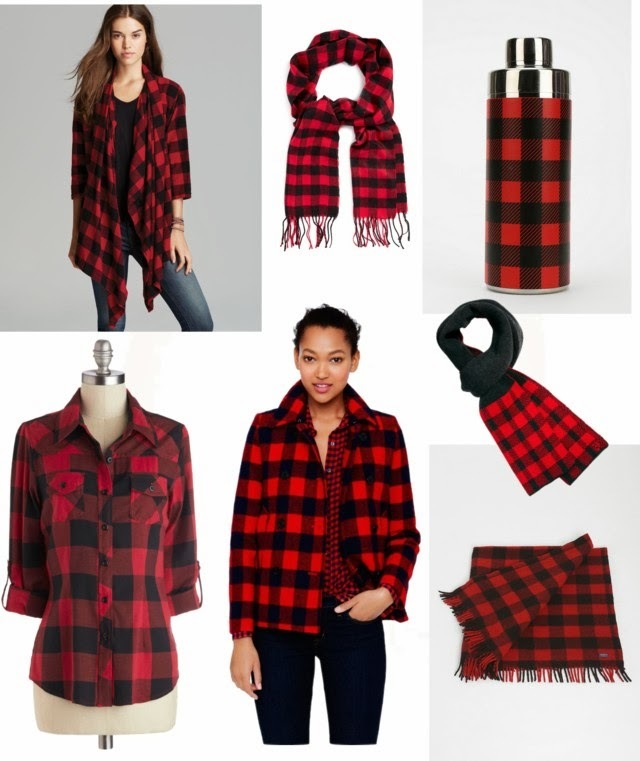 Current trends in the buffalo check often display the print in wide lines of red and black. 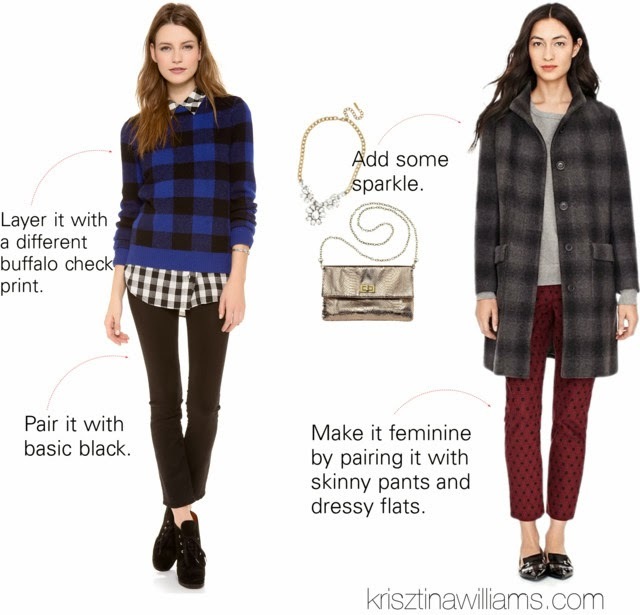 The buffalo check is a very easy trend to wear. As it almost always contains black in the colors, you can pair a buffalo check top with neutral black pants or a skirt. You can also pair it with black accessories, though I like the idea of adding on some sparkle with a metallic bag or clear crystal necklace. The print can look a bit masculine. Add some femininity with form-fitting pants and heels or dressy flats. Layouts by krisztinawilliams / powered by Polyvore. Now, I liked them until you said that!